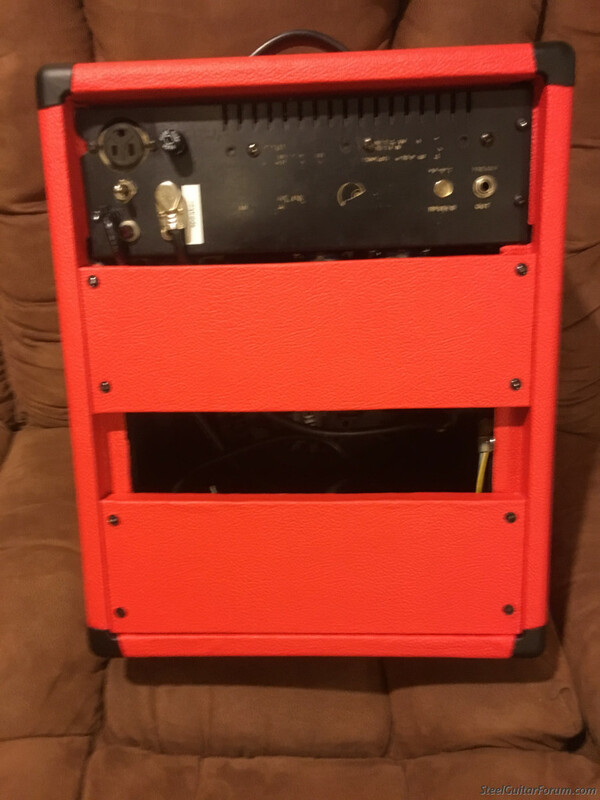 I got this amp I’m my shop from Quincey in 2010. I did my full Webb update on it then. 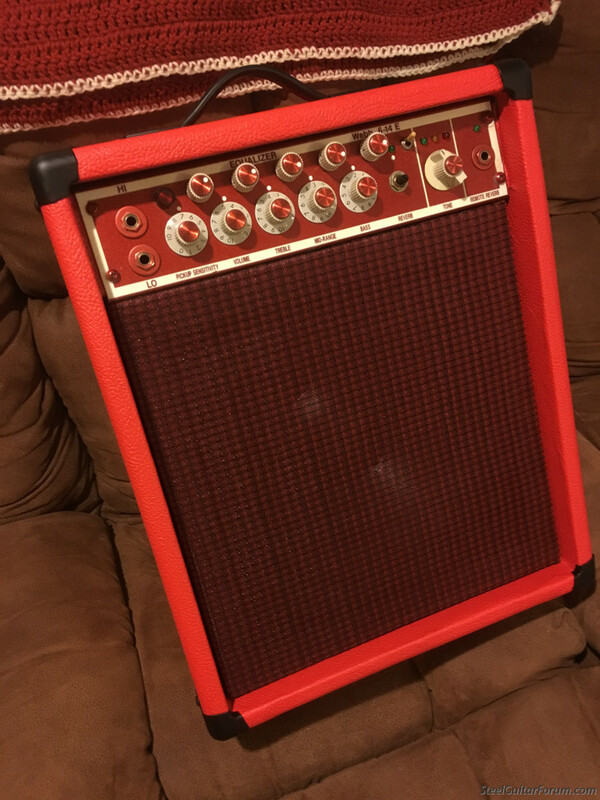 It was an all red amp at one time. 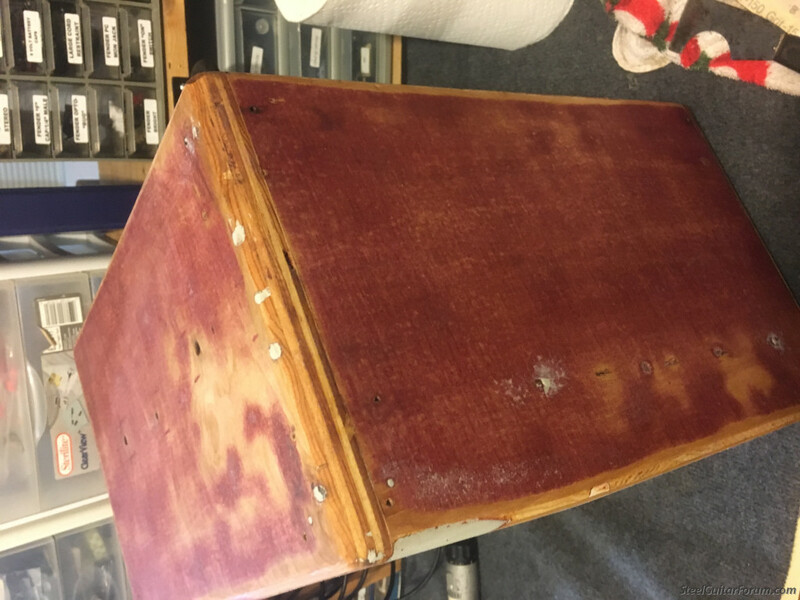 Quincey recovered it in Western Tolex I have now stripped it down to bare wood again. Will be updating all the cosmetics soon. 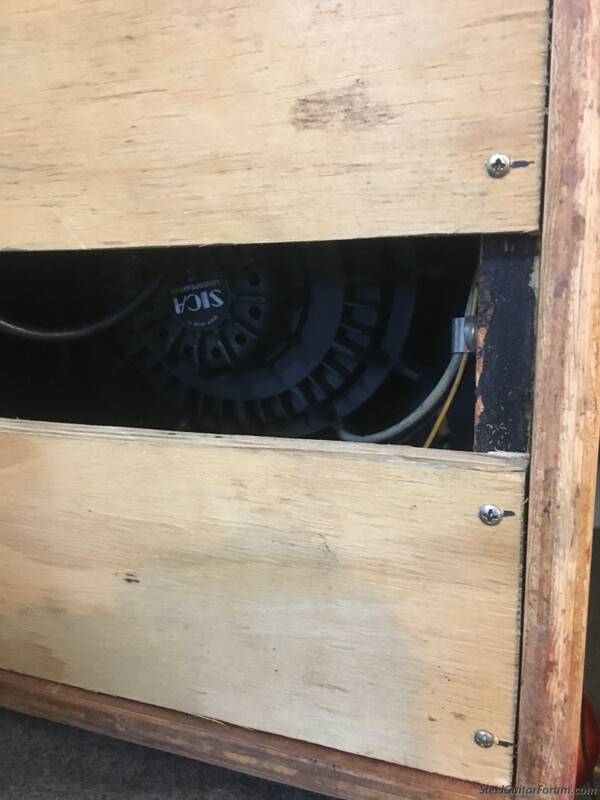 Upon testing the amp I discovered the reverb to be very weak. 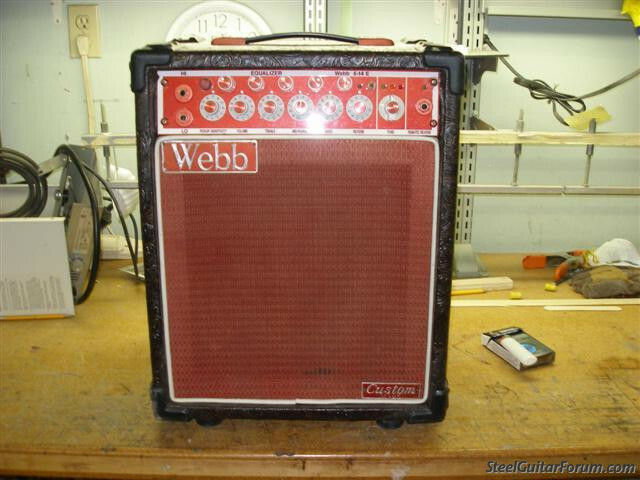 It had a short reverb tank but the wrong one for the early Webb amps. Wrong input impedance. I changed the tank to the correct impedance and it sounds wonderful now. It sports a 12” SICA speaker at 8 ohms. That will allow the use of an 8 ohm extension cabinet. The current cab is closed back. I will be changing that back to an open back cabinet style. The EQ has some strange parasitic oscillation that shows up well on my scope on the amp’s output. When the input to the EQ is checked with the scope probe the oscillation disappears. Thanks must be extended to the help afforded by my friends, Tom Bradshaw and George Moore. 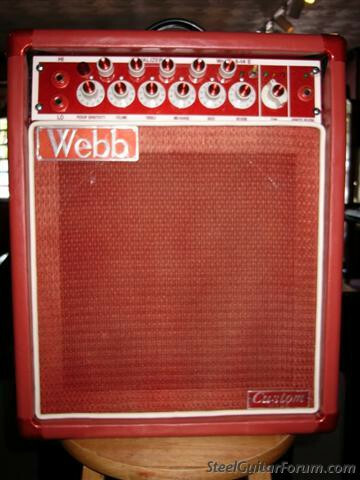 George is in my opinion the foremost expert on Webb amp electronics. You’ll see his name on all the older schematics for Webb. Very cool Ken! 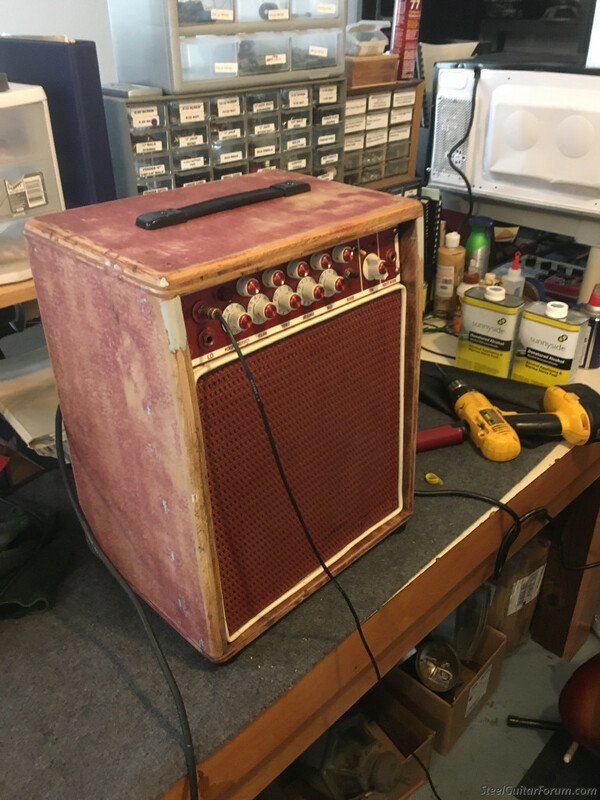 The amp is in good hands, looking forward to seeing the finished product! Love it Ken! Not sure I've seen one like that before. Reminds me of the "Galaxy" I believe was the model back then. Thanks for posting the pics thru your progress, always interesting. Great job! It is one of a kind. 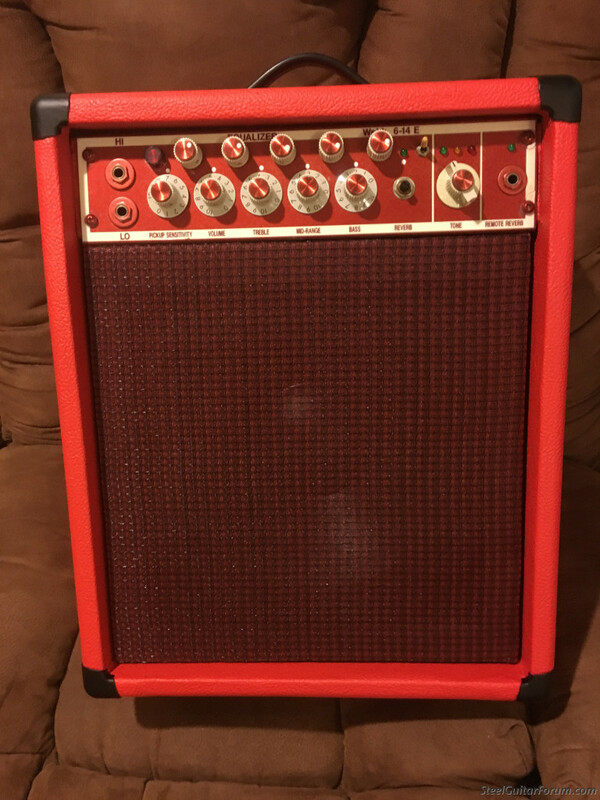 If you check the link to when the amp was sold you will see amp was originally a full size 614E. It was modified by the owner. Got all the electronics in great order now. 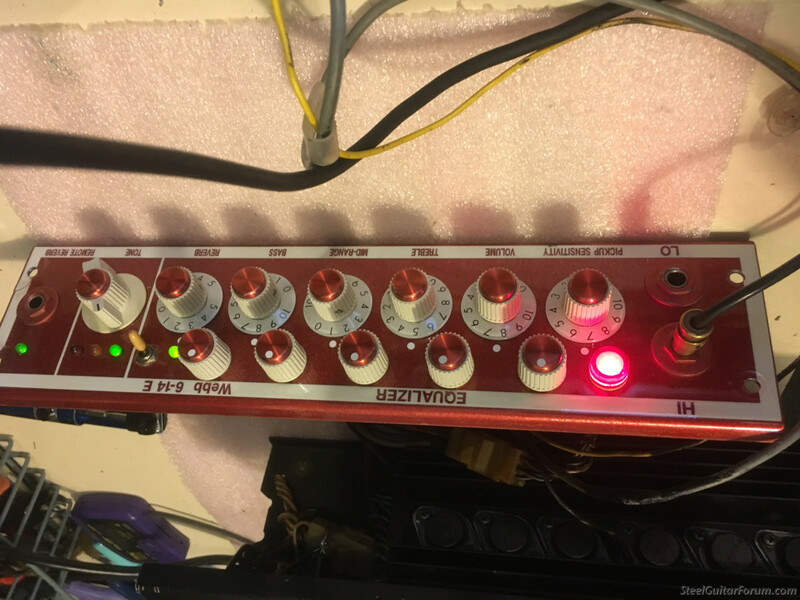 Just some issues with the ground wire from the power amp to preamp board. Also cleaned up all the grounding surfaces to the pot cases. 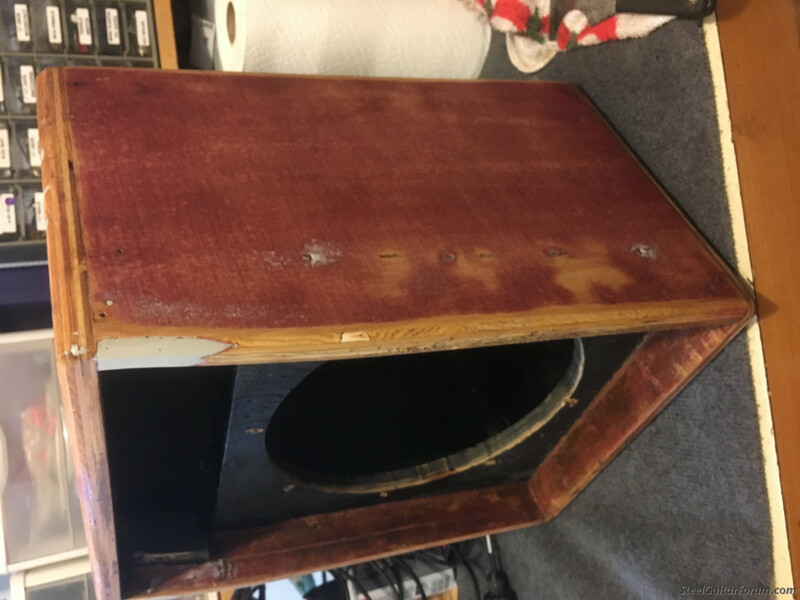 Cut some back panels to replace the closed back. Sounds much better with an open back. Reverb is great with the new MOD reverb tank. Wow Ken!!! Would love to have two like this little baby. I had one of these 614 E amps in blonde color about 20 or so years ago. I'm still asking myself why did I ever sell it. Those are sweet amps for pedal steel. Great looking little giant for sure. Great work as usual Ken!! Thanks. Just waiting now fir a logo and a knob. Rick Johnson is builders a matching bare wood cabinet for me. I will do the covering, grill cloth and hardware here. 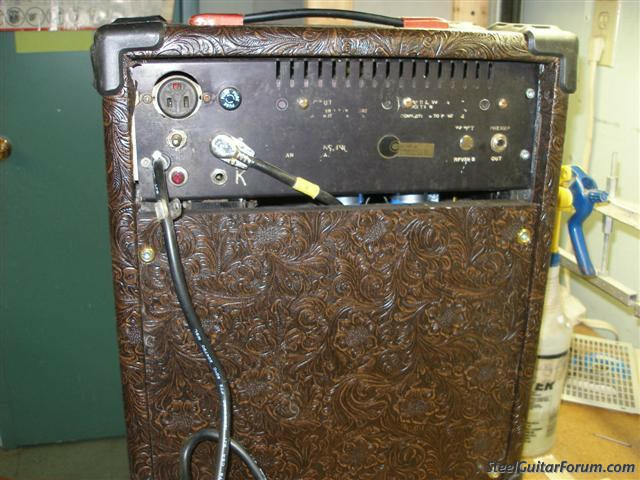 Only Ken Fox could take a Great Amp and make it even BETTER. Great work Ken. There ya go.... very nice work ken. My kinda amp. 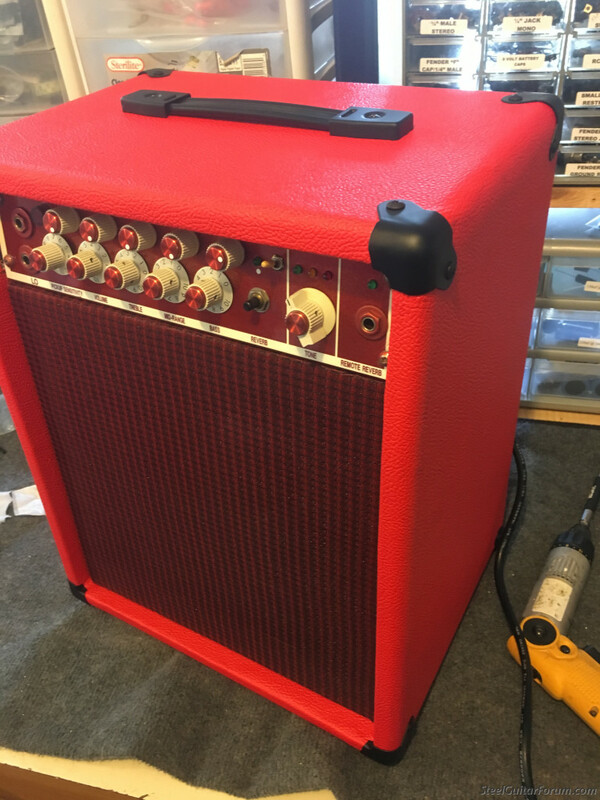 And of course...Red Amplifiers just sound better. My back hurts from old age... Would you do that for my Webb? Sure looks a lot lighter!